It’s been one year since Louise Hay transitioned, and we miss her here at Hay House! Here at Hay House, we all agree. Louise had a remarkable ability to connect with Spirit, heal people’s hearts and inspire them to love more. To honor her life and legacy you can now listen to her audiobook The Power is Within You for free on the Hay House Radio podcast through September 3. 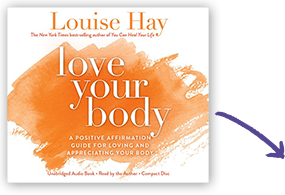 The Power is Within You is one of Louise’s best-loved books, a New York Times bestseller that distills many of her most popular teachings into one—how to love yourself, move beyond pain, create prosperity, follow your inner voice and more. We’ll release a few chapters per day beginning August 25 and ending on September 3. Subscribe to the Hay House Radio podcast to receive the latest chapters daily! Louise may no longer be with us, but her timeless teachings live on in the many books, courses and audiobooks she left for us to continue learning and growing. Louise left an imprint on all of our lives and hearts, and we’ll remember her lovingly, far into the future.